- Flat Top Sports Bars - a stylish economic solution for your New ute! - Nearly new (ex canopy fitters) sold with our Flat Top Lids. 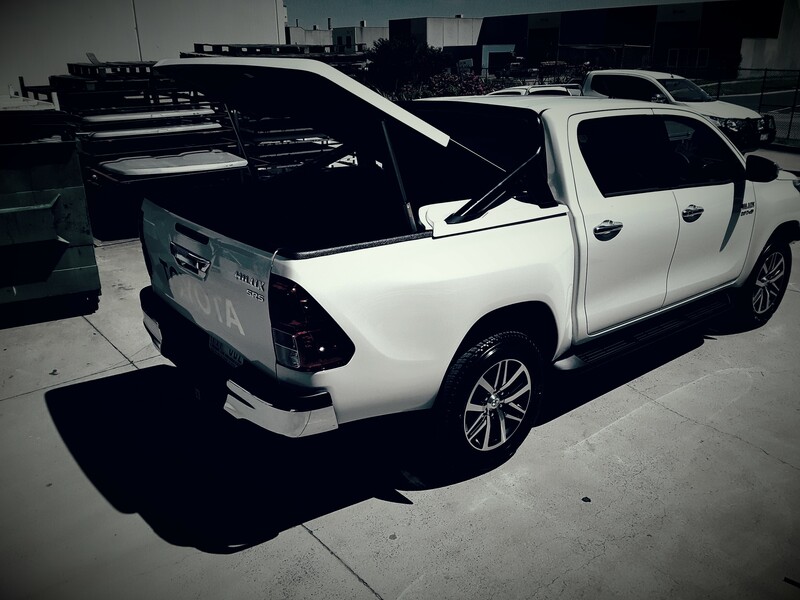 Toyota Hilux Sports Bars (FT T15 -01) Suit all 2015- onwards A deck - Flat Top Sports Bars - a stylish economic solution for your New ute! - Nearly new (ex canopy fitters) sold with our Flat Top Lids. - They will mate to our In-fil moldings providing a stylish look and a weatherproof seal - No wiring required. -Black powdercoated for that Muscle look FITTING IS AVAILABLE (main metro areas) by our approved fitters at extra cost. If you'd like more information about fitting this product to your vehicle or to request a quote please call (03) 9793 9144 or 0418 232 636 (mobile) and we'll be happy to provide details.